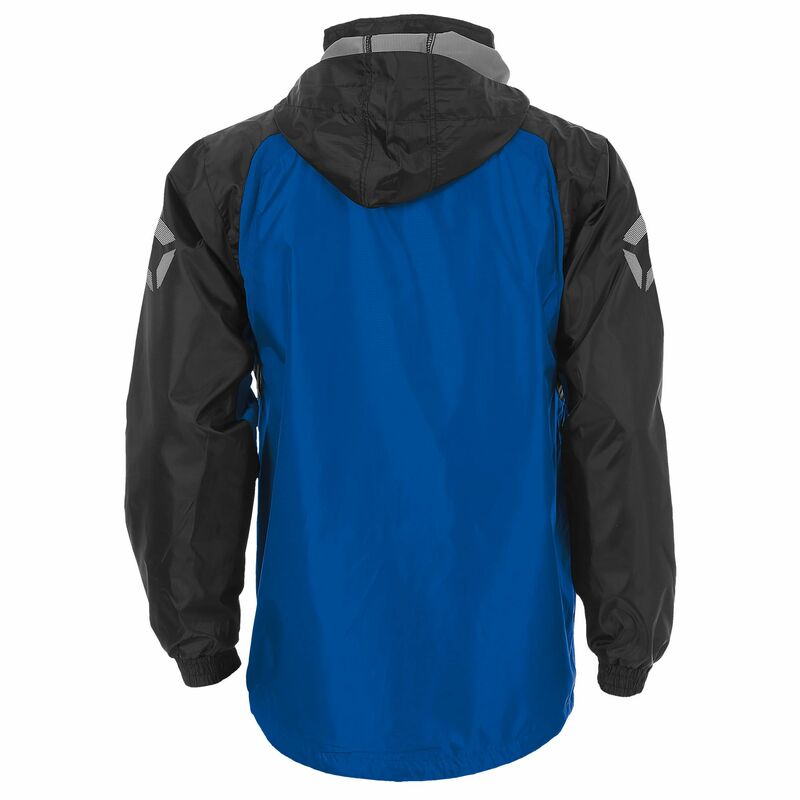 This windbreaker (100% polyester ripstop) is finished with a special coating and mesh lining that make the jacket water repellent and protect you from cold wind. The jacket protects you in inclement weather conditions with an elastic cord in the cuffs and hem, a windbreaker behind the zip and a comfortable high collar. 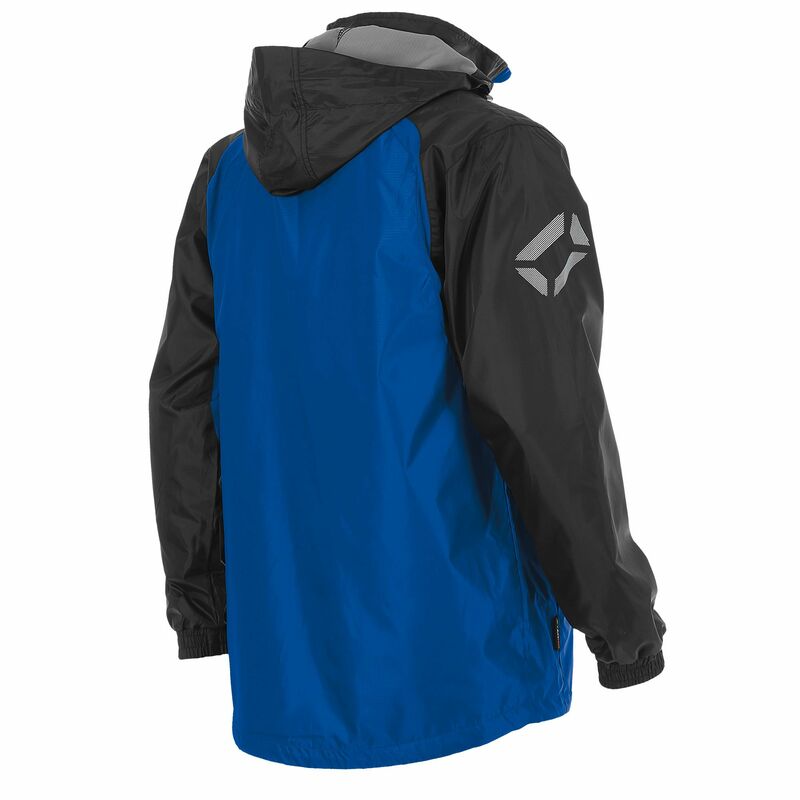 It also contains a hidden hood. 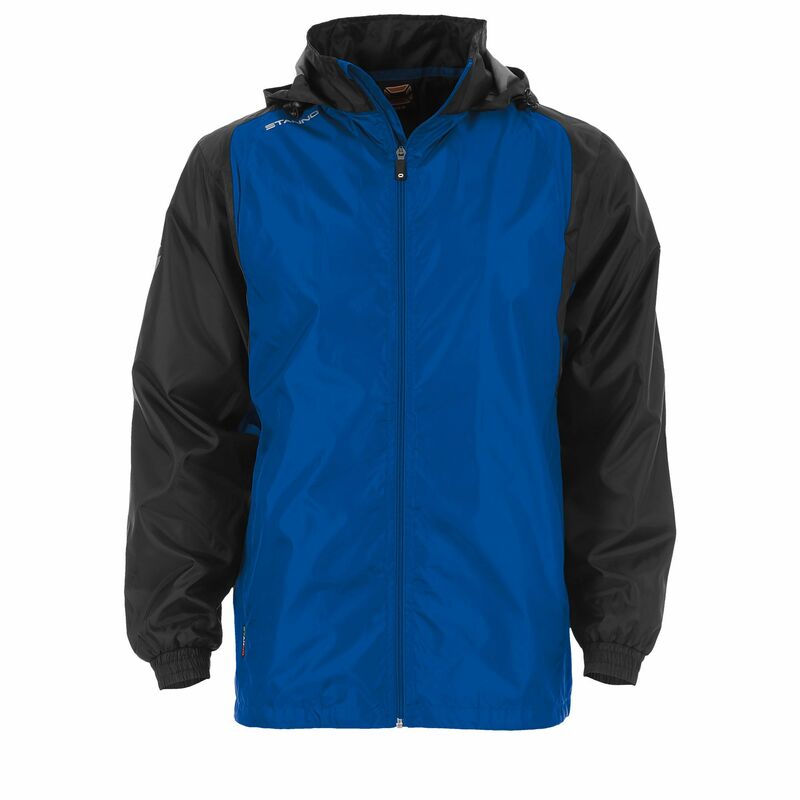 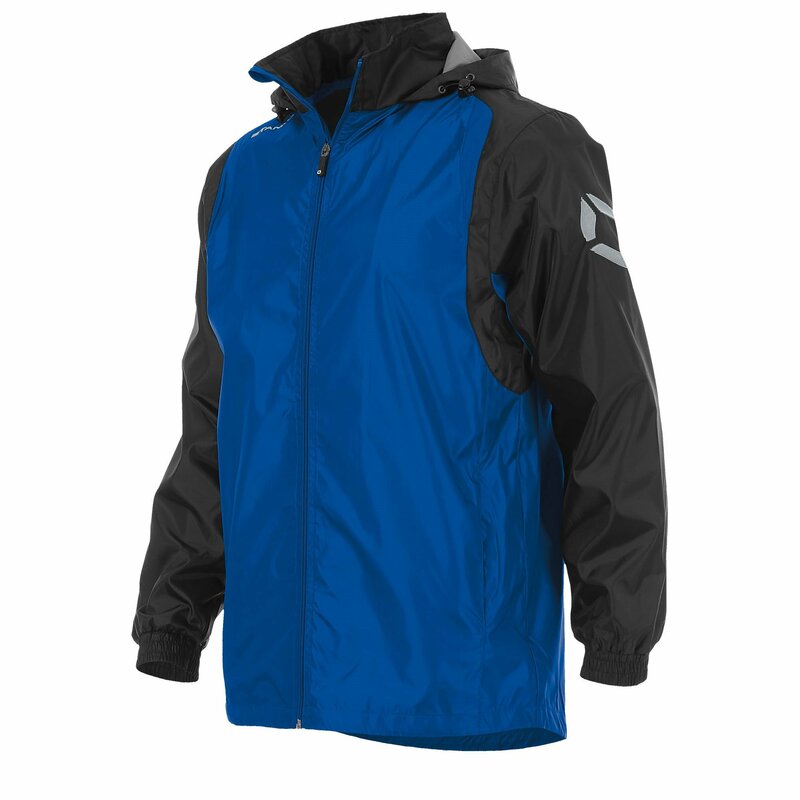 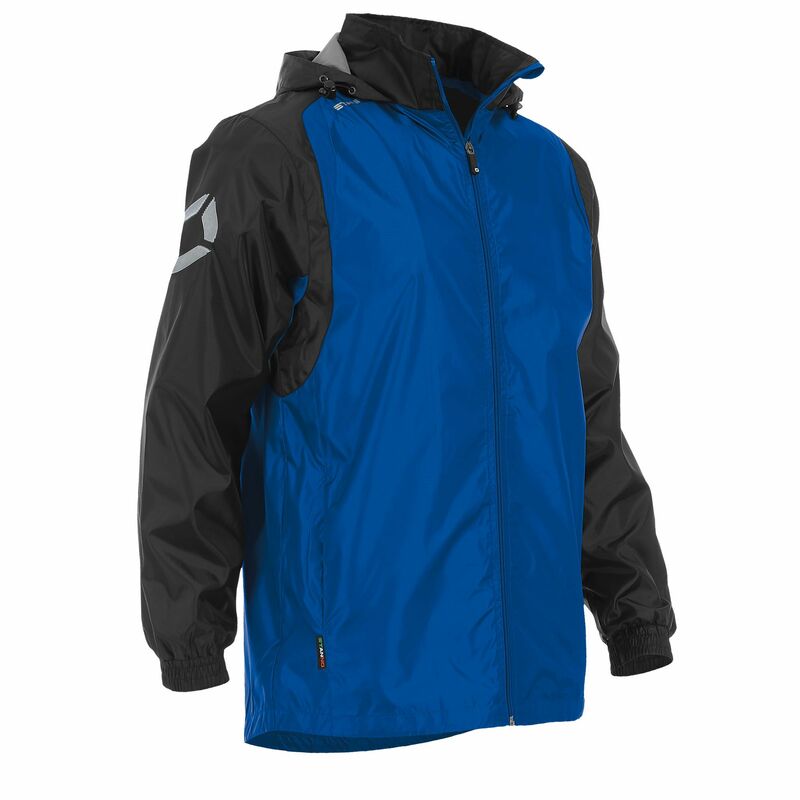 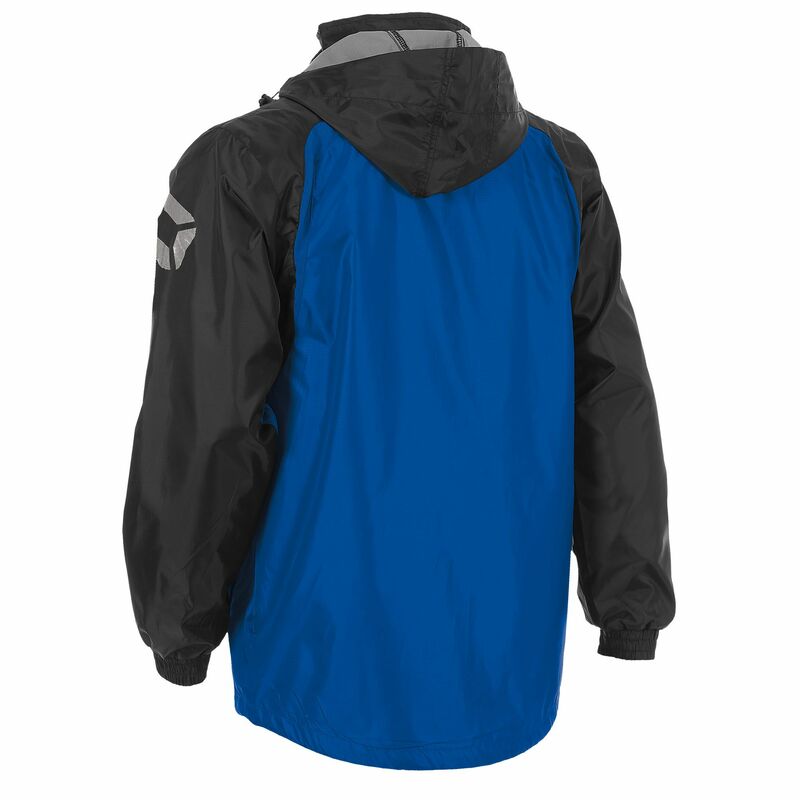 The windbreaker is the ideal jacket for a long day on the sidelines!